Listening for the Voice of God: How Does God Speak To His People Today? Many Christians believe that God will speak to people directly, and many believe they have had the experience of God speaking to them, either audibly, in a voice that has somehow been physically heard, or in a kind of internal way, with a message meant only for them. Courses and Bible studies claim to teach Christians how to hear the voice of God, and how to discern God’s voice, and the messages He has for us as individuals. I’ve never heard God speaking to me audibly, but my own personal experience isn’t determinative of the truth. We need to discover the truth from its sure source, the Word of God – the Bible. When we want to figure out whether we as Christians can actually “hear” the voice of God, and how we can hear it, the Bible is where we need to turn. Does the Bible teach that I can receive direct personal communication from God, if I go about things in the right way, or if I use the right techniques? Or does the Bible have another message? We do have a number of examples of Scripture of God speaking to people – of people hearing God’s voice, audibly, or in visions, or dreams – about fifty examples of God speaking to people directly in the Old Testament and in the New Testament. These examples are found in what we call “descriptive passages” of Scripture. Descriptive passages tell us what happened, to whom, when, where, and often why. Prescriptive passages, however, tell us as readers of Scripture what we need to do. The distinction is easy to see. In the Bible we read stories that are very much applicable to us today, but it is vital for us to understand that description does not equal prescription. In other words, even though direct aural communication from God is described as the experience of a select number of God’s people, this does not mean that this kind of personal communication is prescribed for all of God’s people. If we look at the evidence of the Old and New Testament, we see God speaking to very special individuals at unique points in history. In the earliest days of history, this would have been the only way people could have known what God was up to, since the written Word hadn’t been completed. In the New Testament, we also see God speaking at critical junctures in the history of His redemptive work. We see Him speaking to specific individuals, at critical times in history, to make very specific points about issues that had significance for all of God’s people. And when God spoke to people, they knew it was Him. They knew exactly what He was saying, and they didn’t have to spend any time trying to figure out whether it was actually God speaking to them. We live after the earthly ministry of Jesus Christ, after the completion of Scripture. We now have the complete Word of God to guide us, and most importantly, we have His revelation of Himself in Jesus Christ. We have been given what we need, and we needn’t expect anything more. I don’t have to wait for God to speak to me until I make a decision in my life. He has already spoken to me – in His Word, and in the Word made flesh, Jesus Christ, His Son. I belong to Jesus Christ, and I trust in Him. I know that He has given me His Holy Spirit to guide me in wisdom I know that I’ll make mistakes; I know that I will fail; I know that I will not always be obedient, because God has revealed that as well, in His Word. While I am a child of God, I am still also a sinful man; my old nature sometimes wins out in the battle I have with it. But I know that God expects me to use the wisdom He has given me; He has given His Church His Holy Spirit to guide us, and He expects us to use the wisdom He has given us, for His glory. We are called to make mature decisions, and to do that without constant direction from our Father. He has given us what we need; we know what we need to do. We may not know the exact details, but we have been given our prescription. And if we are faithful, if we are obedient, we can be sure that the result of all of our decision-making will work out for our eternal benefit. I believe this is a very serious issue for the Christian Church today. Some have lived in indecision because they’re waiting for God to reveal what He wants them to do. Others have made bad decisions, because they haven’t used the wisdom God gave them, but instead made decisions based upon something they thought was a personal message from God meant especially for them. God wants me to make decisions. He wants me to be mature. He doesn’t want me constantly looking for personally directed guidance from Him. We are to grow in maturity, and the way to grow in maturity is to get to know God’s Word, to let it live within us, to let it shape us, because it’s in the Word where God works – the Word, the Bible, is “living and active, sharper than any two-edged sword, piercing to the division of soul and of spirit, of joints and of marrow, and discerning the thoughts and intentions of the heart” (Hebrews 4:12). God does speak today: in creation, and, even more clearly, in His Word. That Word is available to everyone; its meaning is the same for everyone who reads it. And that’s all that we need. I don’t have to wonder if God is speaking to me – I know He is. We need to be thankful for what God has given us, because it’s enough. There’s no need to put ourselves in a dangerous situation by seeking something more than what God has promised. He’s given us His Word; He’s given us His Son; He gives us His Holy Spirit so we can be wise in applying the Word to our lives. That’s how He speaks, with certainty, with clarity, to each and every one of His people. Who could ask for anything greater? 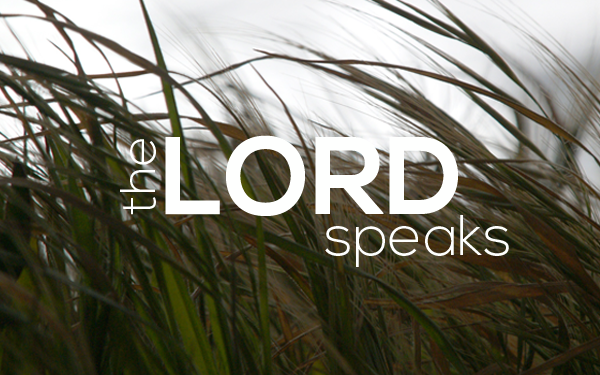 This article is a summary of an extensive look at how does God speak to His people today? To read more, download the full article.